Black, Blue, Green, Orange, Pink, Red, pink,blue,red,purple,etc. 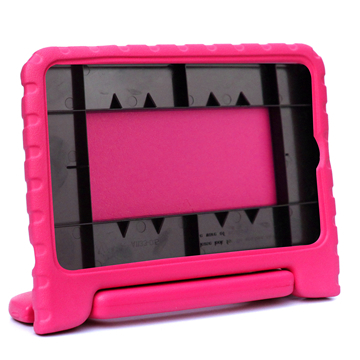 This great kids case is fun, free-standing and kid-friendly and perfect for ipad mini case. 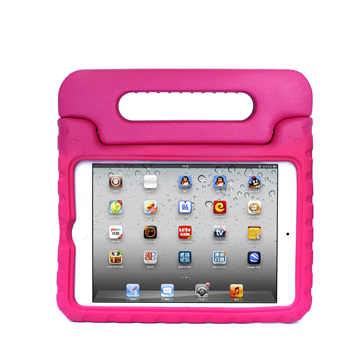 It is made of lightweight foam for protection and for easy handling from little ones. 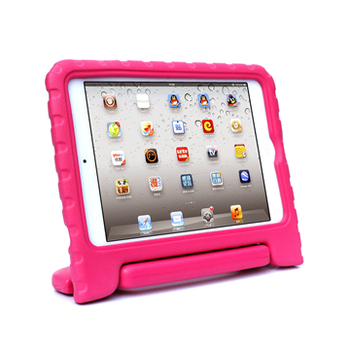 Versatile and fun to use, free-standing and kid-friendly case for iPad. The carrying handle is ideal for young kids and the foam used in the construction gives great shock protection. Patented product piracy will investigate! HGD Industry Co., LTD., was established in 2003,It employs over 300 skilled workers,and covers an area of more than ten thousand square meters. 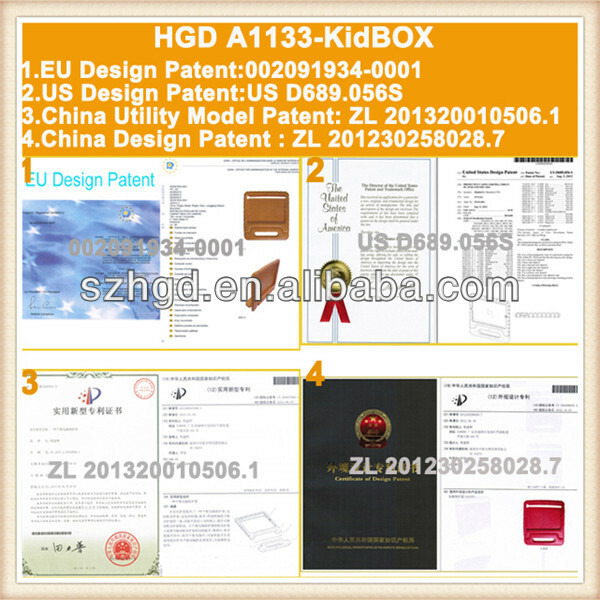 It has engaged in business of eva foam products, plastic protective cases etc. The last decade saw HGD's great development, and now it becomes a very large competitive firm, gathering a number of innovative and challenge-adoring R & D team members . HGD boasts its technical innovations, the advantage of a wide range of resources, the highly effective integration and application of resources. 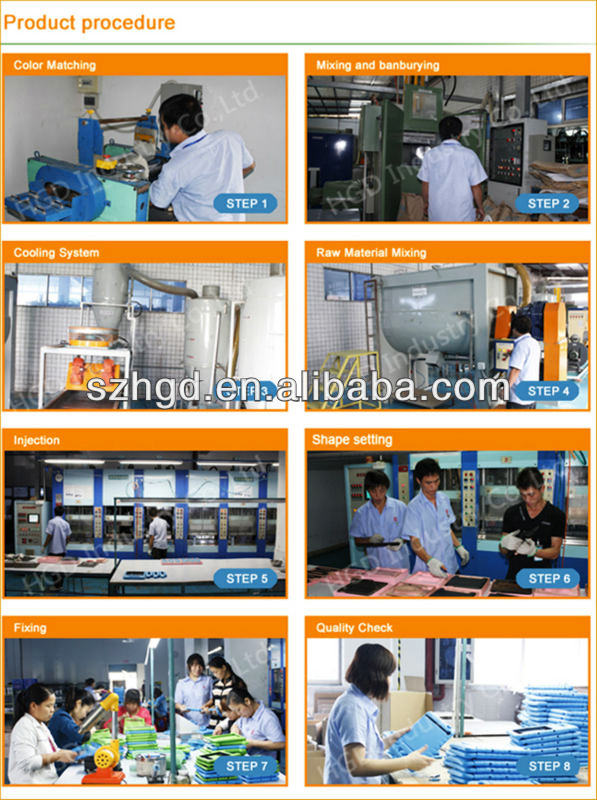 All the factory processes, from developing to producing, can be completed within the company. 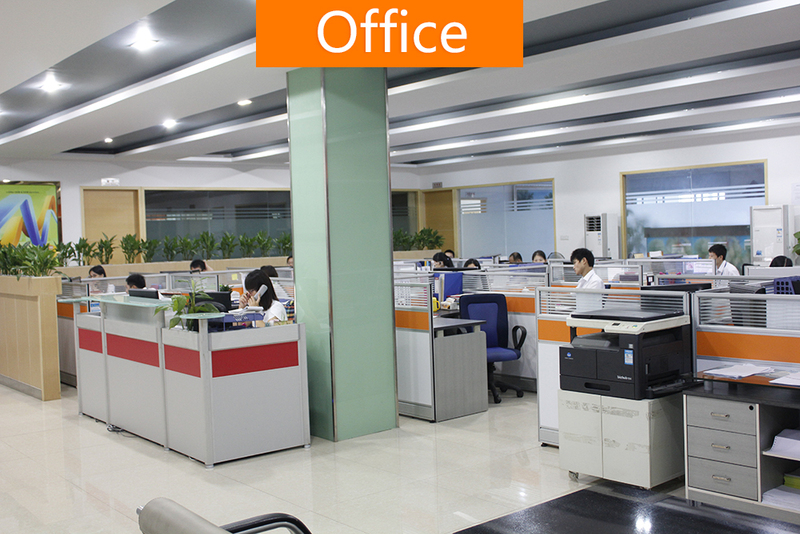 Our development mode is to provide ODM and OEM service. We pay great attention to design, user experience, high quality and safety. Well-known oversea designers are hired to be our consultants; each design is finally identified after collecting information of numerous user experience, repeatedly modifying and improving. 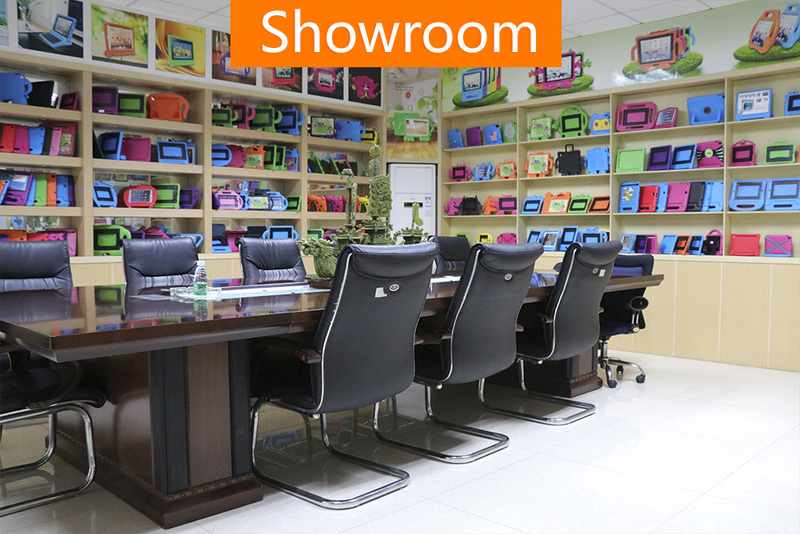 Professional testing standards are employed in quality control, and all products will get full inspection to ensure every single one reaching customers' hands is good and perfect. The materials we used are non-toxic and Eco-friendly, meeting the safety requirements of human body. All of our products will pass the Market Access Test before exporting to Europe, United States and other areas, witnessed by relevant inspection reports. We set the spirit of people-oriented, win-win and mutual benefit as our principle, and commit ourselves to developing the global market. We are looking forward to cooperating with you to make joint contributions to the happiness of mankind. With OPP bags and inner fixture inside + carton outside. We could offer the design packing service if you have your special request. Shipping :Prompt delivery by UPS,EMS,DHL,TNT, or by sea, by air as required. 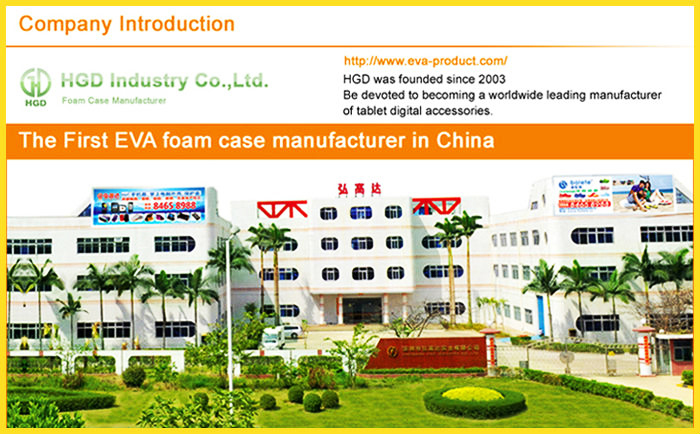 A: Yes, we are an experienced manufacturer which has been in the field of EVA product for more than 10 years. 2. Q: Are the materials you use all safe? Any test for them? R:Yes, they are. We always stick to adopt non-toxic and safe materials. 3. Q: What is the lead time of samples? A: Generally speaking, samples could be sent within 1-7 days according to sample quantity and our stock status. 4. Q: What's the delivery time for bulk order? Normally 2-3 weeks but during busy season, it's is 3-4 weeks. 5. Q: What kinds of payment terms are acceptable to you? R:We usually accept Western Union, PayPal and TT (30% in advance and 70% before shipment). 6. Q: Could you offer us certificate verifications? R: Yes, we could. We could not only provide search website and certificate serial number, but also assist you to do the certificate verification. A: "Quality is priority. we always attach great importance to quality controlling from the very beginning to the very end. 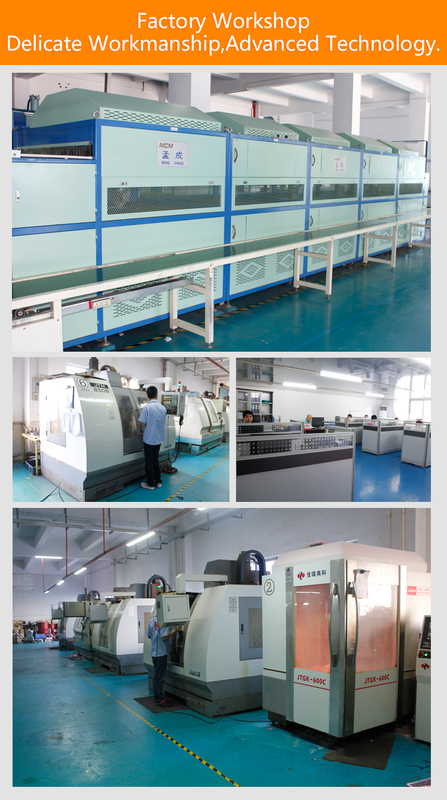 Our factory has gained Reach,Rohs,SGS authentication. 8. 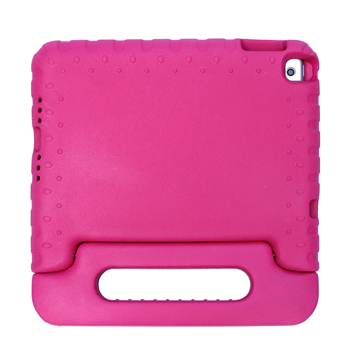 Q: What are the advantages of EVA Foam cases? R: Non toxic and safe to children; shock proof; lightweight to hold and parents worry free kids friendly style. 9. Q: What services can we enjoy as for the after-sale?